The summer season is quickly approaching once again, and 2019 looks like it will be another superb year for charterers. With an active new build and purchase market, an already excellent charter fleet is being strengthened by some exciting new yachts. Actually, quite a few of these first started cruising last season, and in my view, it is hard to find a better mix for a new charter experience than a recently built yacht, which has already got a few charters under its belt to iron out any teething issues. It is pretty much the holy grail of yacht charter – all the latest in comfort, technology and equipment combined with the assurance that it all works smoothly before you step onboard! Starting with some of the larger ones, we are also fortunate to see some very experienced owners building larger yachts and bringing decades of charter experience to the Mediterranean – there is no better yacht than one designed and built by an owner and crew who have years of first-hand experience on the specificities of charter. SEVEN SINS is the result of decades of experience combined with superb craftsmanship by San Lorenzo and intelligent design. There are spacious modern interiors with luxurious cabins for 10 guests and huge deck spaces from the vast sundeck to the forward outside salon and aft deck swimming pool. 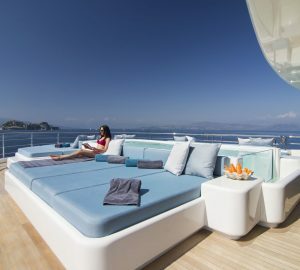 But what really sets it apart is the amazing owner deck beach club, complete with fold-out side balconies and drive in tender garage, a unique and extremely charter-friendly feature! Another in this size range is LAURENTIA, the latest of the Heesen’s to hit the charter market and a great example of Dutch quality build and design. Elegant, sleek and practical, she is all about usable spaces, and lots of natural light ensuring a perfect link between indoor and outdoor living. Slightly smaller but no less exciting in its design and use of space is the new Ferretti DECEMBER SIX, built and equipped purely for charter and combining great living spaces with an impressive range of toys. On the side of sailing yachts, there are exciting recent additions with yachts such as CROSSBOW, one of a long range of successful Southern Wind yachts which combine great sailing performance with comfortable cruising and will be both in the Mediterranean this summer and Caribbean in winter. For more space and volume, and unparalleled local knowledge from an experienced crew, AIAXAIA is another example of a passionate and experienced owner putting together a great charter package. Cruising mainly in the Adriatic, is it a great option for those wanting the space and equipment of a motor yacht and the charm of sailing. Catamarans are a part of the fleet that has seen the most exciting development in recent years, with some excellent new layouts maximizing space and charter comfort, and some great designs from the largest shipyards such as Sunreef and Lagoon. 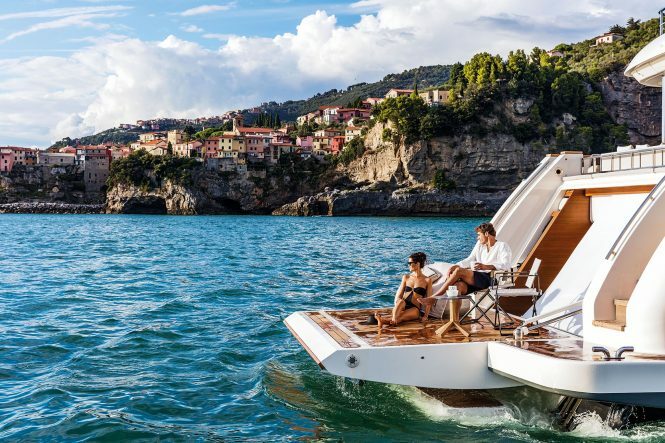 From Lagoon comes the Seventy7 series with yachts such as BABAC, the largest Lagoon built yet, and yet another example of their excellent use of space. 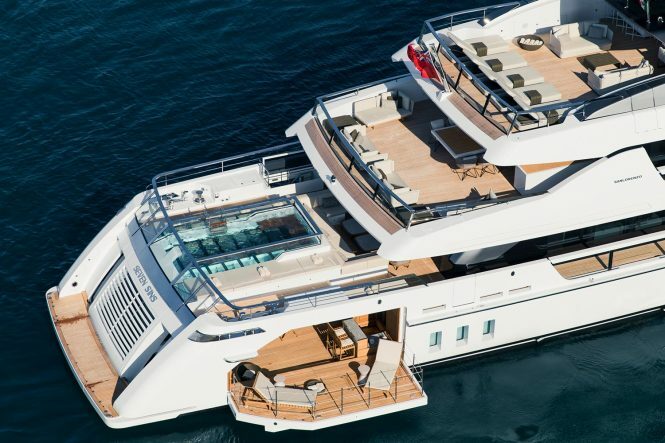 Key features include the master cabin with its unique sea balcony, and the large hydraulic swim platform offering great landing area for toys, or just sunning space. BABAC is based year-round in the Caribbean, offering summer sailing in the beautiful Grenadines. 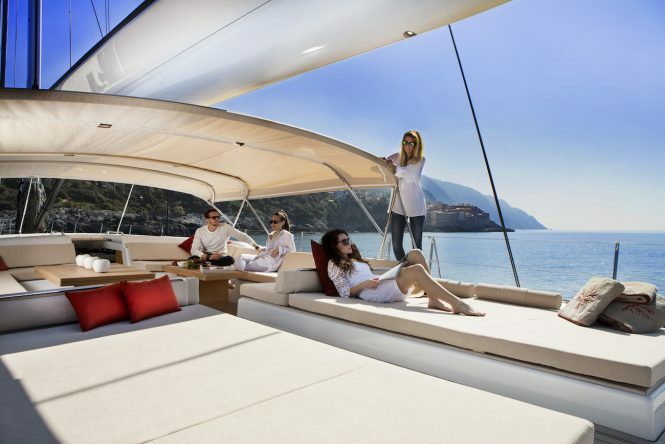 The motor catamarans are also in full development, and new offerings like MAYRILOU offering excellent space for up to 10 guests, and great value for its size and quality. Also in the Mediterranean is DOUBLE DOWN, having already completed one successful charter season and keen for more. I will have to include a couple of yachts that will only be starting their charter life in 2019, but which have already impressed by their style and modern approach – SOLO, the largest of the up and coming Tankoa shipyard with its private owner’s deck, infinity pool and oversized beach club, and NORTH STAR, the brand new Sunrise yachts and sistership to IRIMARI which is due to be ready by June 2019 for the Mediterranean season. 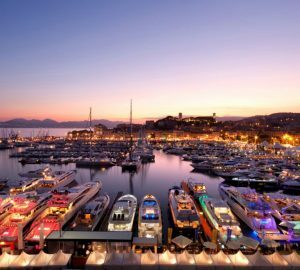 Now all that remains is to get in touch with us to secure the best dates in your favourite location and be part of the new wave of super yachting. 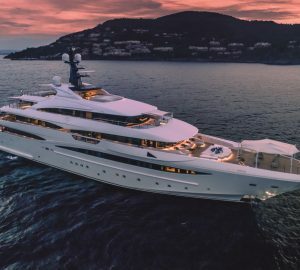 Please contact CharterWorld - the luxury yacht charter specialist - for more on superyacht news item "The best new superyacht charters available this year".